X6400 is the power post inside the E box. It feeds only DME loads. Page 1361-01 for M30 and 1367-00 for M70. Fusible Link A is 50 Amps. pic Fusible Link B with cover closed. Just squeeze the cover to open. 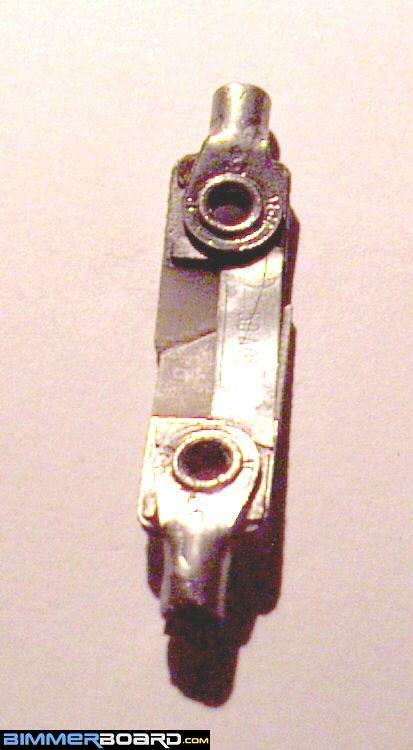 pic Fusible Link B with cover open. Last edited by shogun; 05-22-2017 at 08:05 AM. And here fusible links from a 11/93 E32 750iL, the one in shrink plastic, then there is another 80A one in a plastic box behind the battery, can also be seen, just removed that from a crashed parts E32 750iL we disassembled. E32 730i M30, located in Thailand, copied:Tom: HI guys, have been having an issue in the colder weather ( read less than 25C for us - yes seriously ) .. car often will not unlock - like NOTHING when key is turned. Had some big other issues last week .. anyway ... ended up changing the crash sensor relay .. and GM. Recent issues - central locking often hasn't worked when cold outside . last night a NO GO . Also no interior lights . car started first turn when i got it opened though ( emergency procedure). Tim: Do you have a remote unlocking key? Does the passenger side door have a key hole? Have you tried the key in the boot lock? Tom:.. no remote ... pass lock will also not open the car when this happens , Nor will the boot ... only way to get into the car is to wait until its warmer or use the "emergency unlock" procedure -- which I do .I just feel it must be related to an electrical issue ... in something that interacts with the central locking and also the interior lights .. couldn't see much in the wiring diagrams that was except either RM or GM ? But very open to ideas ... After not working when its cool , it will miraculously start when it warms up ... and that seems to be the common factor ... but maybe i am missing something ? shogun: When it does not unlock and you use emergency unlock, does the engine start then? 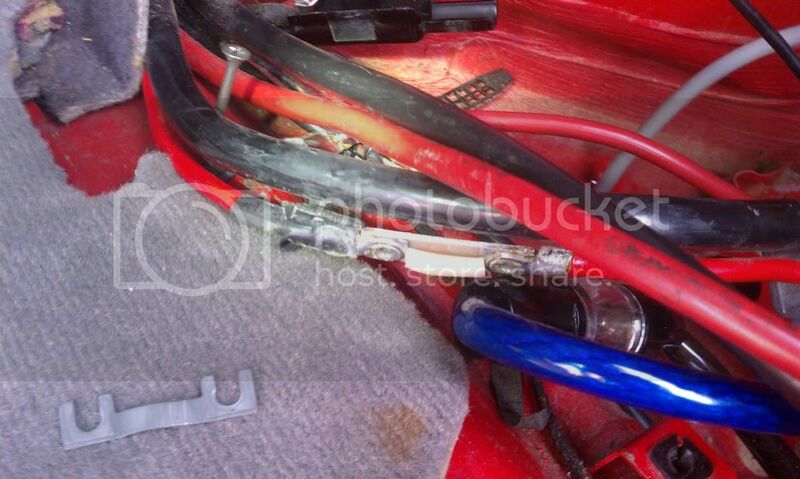 There are 2 fusible links in the car under the rear seat on right side where the battery is.One goes to the e-box directly and powers the Motronic etc, and then other one goes to the left side under the rear seats and powers all the modules and relays there.Go to my website .http://twrite.org/shogunnew/topmenu.html click in the index on left , then reference data>>>under electrical there is E32 fusible links. That is a pdf file, open that and that explains you and shows where fusible link A and B are located. Fusible B is 80 Amps. It feeds all the Rear Power Box loads. Remove that, maybe it has a haircrack and when temperature goes up, the fuse still works. 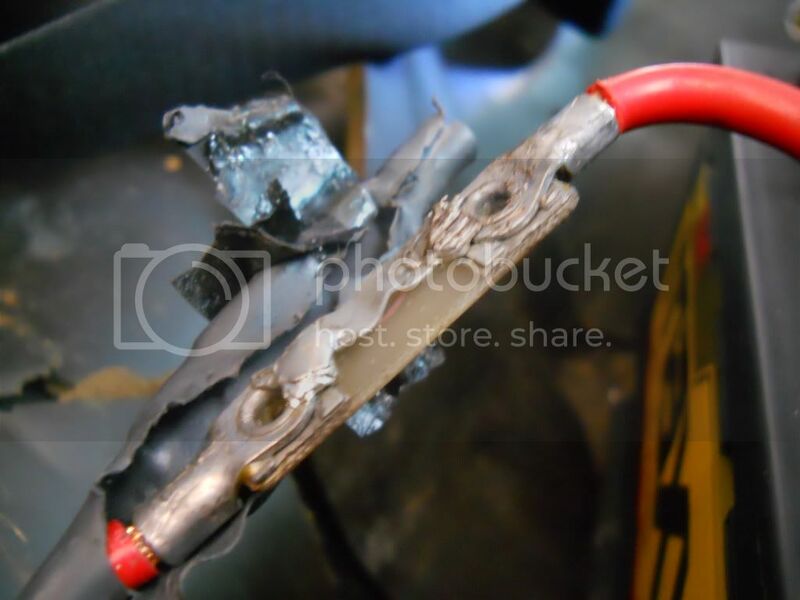 often the cracks are under the rivets and can hardly be seen, so make in any case a test with a jumper cable to by-pass the fusible link. Fusible link B powers the RM, GM, all the relays there under rear seat. Tom: Hi Guys .. issue gets even MORE curious .. Firstly Erich -- yes cars starts first time after i open it .. just central locking and interior lights don't work .Today , was cool ( by Thai stds ) this morning .. car opened and closed no issues .. everything fine . shogun: Check BOTH fusible links. Thanks ........... EUREKA !!!!!!!!! 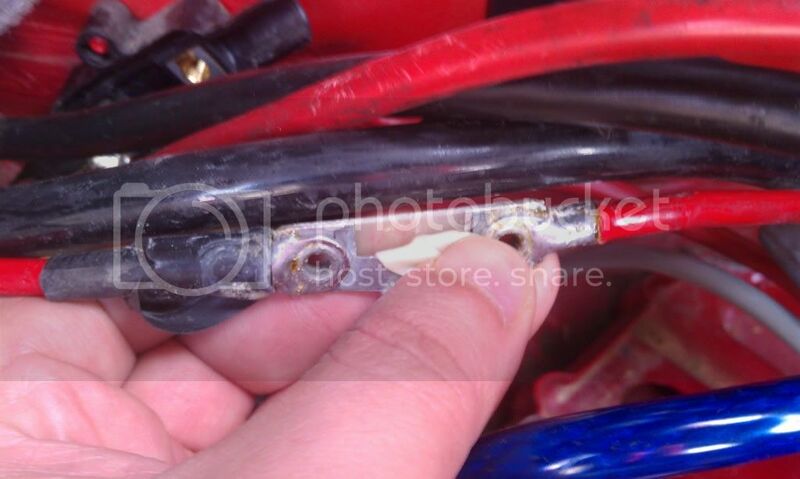 pulled open the rear fusible link .. and its knackered ... was just touching .. so sometimes working .. sometimes NOT . That page comes directly after the fuse chart. Yes, I copied it from the 7 series register forum in the U.K.
'95 525iT fusible link locations?